Uplifting endings are as popular in Western literature as umbrellas in the desert. Sad stories sell. Desperados that inhabit notable works of renowned writers like Annie Proulx and Sherman Alexie tend toward drunken violence and tragic denouements. 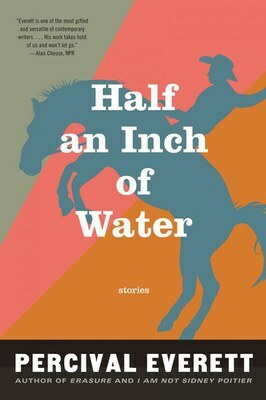 Percival Everett, an African-American author of nearly 30 books, takes a different tack in his new collection of nine short stories, Half an Inch of Water. No matter what crisis Everett unloads on his characters, hope lingers like the scent of sagebrush in the wind. They tend to get lost, physically and emotionally, as they search the wilderness for meaning. Sometimes they find themselves by connecting with others whose hardscrabble lives appear grounded in reality. In Everett’s world, people need each other to survive. A single parent in “Exposure,’’ worried about losing ties with a teenaged daughter, tries to show his love for her on an outing to Burnt Lake. Spot-on dialogue between clumsy dad and rebellious child foreshadows doom when a cougar enters the scene. The finest story, “Little Faith,” exposes a cultural gap in the West that Everett describes deftly. Not all nine stories are winners. “Finding Billy Whitefeather” has a mystical quality that stumbles over a weak plot. “Liquid Glass” gets Stephen King-ish: it’s about a box containing a severed head and not much else. Nobody escapes unscathed in Everett’s fiction. His world operates according to Darwin’s rules, but however bleak it appears, it teems with convincing characters, persistent folks who figure out how to survive.